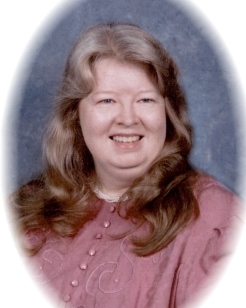 Sherry Lynn White, 60, of Griffin, Georgia went to be with her Lord and Savior, Jesus Christ on Tuesday, April 3, 2019. Sherry was born and raised in Griffin, Georgia the daughter of David Pope Head and the late Kathleen Smith Head. She is preceded in death by her Grandparents, Paul and Ruby Head, and John C. and Margret Smith. Sherry retired in 2015 from Spalding County E-911 as a Dispatcher Supervisor after having served over 37 years with the Spalding County government. She began working for Spalding County just after High School at the Tax Assessors Office and then was among the first wave of dispatchers hired when she transferred in 1979 to the Spalding County Fire Department and Emergency Medical Services when the Spalding County Fire Department was first created. While at the Fire Department, she met and married her husband David, who was a Firefighter. Having served in the Tax Assessors Office, and having a grandfather who was a former “Revenuer” for the U.S. Treasury Department, proved extremely helpful to the Fire Department because she had a very intricate knowledge of Streets and Roads in the City of Griffin and County. Along with dispatching Emergency Calls for the Fire and EMS, her duties included driving around the City and County to survey physical locations of structures and addresses. While at the Fire Department, she became a State Certified Firefighter through the Georgia Fire Academy and an Emergency Medical Technician through the Department of Human Resources. In the early to mid-1980’s, she spent many hours working as an EMT on a Spalding County Ambulance and also often responded to fire scenes to help the duty firefighters out. In 1989, the City of Griffin and Spalding County started their 911 system and Sherry transferred to that Department. She became a Supervisor there and through the decades, trained many people how to be E-911 Telecommunicators to dispatch for not only the Fire and EMS, but for the Law Enforcement agencies for the area. She was a generous and caring woman who spent most of her life in the service to others, one way or another. Sherry had many hobbies, including crafts, painting, sewing, fishing and planting flowers. She loved children, her family, animals and people in general. But most of all she loved her Lord and Savior, Jesus Christ. She worshiped and served at County Line United Methodist Church where she had served as a Sunday School Teacher and enjoyed helping with the meals they served at the church. Sherry is survived by her husband of 38 years, David M. White, a brother, Walter S. Head and wife Pam, nephew, Bryan Head, many cousins and several other nieces and nephews. Funeral Services for Sherry will be at 2:00 pm on Saturday, April 6, 2019 in the Chapel of Conner-Westbury Funeral Home. Interment will follow at County Line United Methodist Church (416 County Line Church Road, Griffin, GA.) and a visitation and viewing will be at the Funeral Home from 6:00 pm until 9:00 pm on Friday, April 5, 2019. The Reverend Ed Swehla will officiate. For those who wish, in lieu of flowers, the family asks for contributions to be made to Mt. Zion United Methodist Campground or to County Line United Methodist Church in Memory of Sherry.